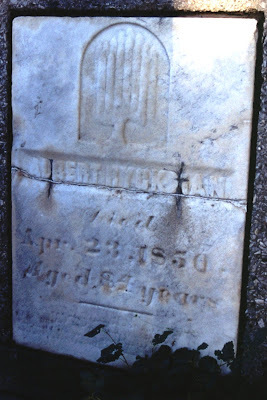 Gravestone of Albert RYCKMAN, Gore-Trafalger Cemetery, London, Middlesex County, Ontario, Canada. Photograph. 2003. Digital Image. Original photograph in possession of Kathryn Lake Hogan [ADDRESS FOR PRIVATE USE] Windsor, Ontario, Canada, 2008.